Established by the Korolnek family in 1910, Consolidated Bottle has a long recognized history of providing packaging solutions to global markets across industries. Our business model is defined by a commitment to Project Management, Inventory Control and Unparalleled Customer Satisfaction. With over 500,000 square feet in Toronto and Montreal, we bring a unique service oriented approach to our customer base including innovation & design, global sourcing, quality assurance, inventory control, logistics management, and service excellence. 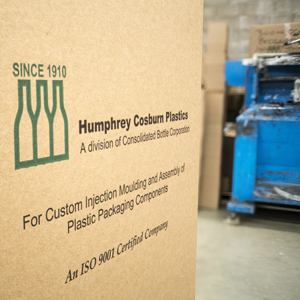 We supply a wide product range including glass, rigid plastics, flexible packaging, metal and assembled products. These products are offered through stocking as well as special order programs. 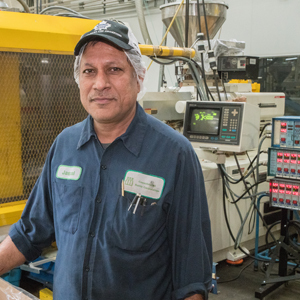 We bring extensive expertise in relevant technologies such as glass manufacturing, extrusion blow molding, injection blow molding, Stretch blow molding, reheat and blow, injection molding, and assembly. We also offer value added decorating capabilities including silkscreen, hot stamping, label application, and shrink sleeve application. We are an ISO 9001:2015 approved company with a robust quality infrastructure catering to the highest of FDA, Health Canada and CFIA standards. Our stocking and full service model allows us to partner with the largest multinational corporations while also supporting the startup industry. Our Cash & Carry division carries more than 500 products at all times with no minimum purchase requirements. Let us make your packaging experience easy, enjoyable and efficient.